The St. Charles City-County Library Storybook Walks are a creative and fun way for families to get some fresh air and exercise while encouraging a love for books and reading. Five books are hand-picked by library staff each month and displayed at five different parks across St. Charles County. Two of the Storybook Walk locations are on greenways! Pages are posted at several stations along each trail, so families and friends can enjoy a story as they walk together and enjoy the fresh air and scenery. Locations outlined below, click the links for more details! *Located separate from the main park- near the parking area at the end of Huncker/Quince (Boschert Greenway Hunker Drive Parking), then just down a short paved path. 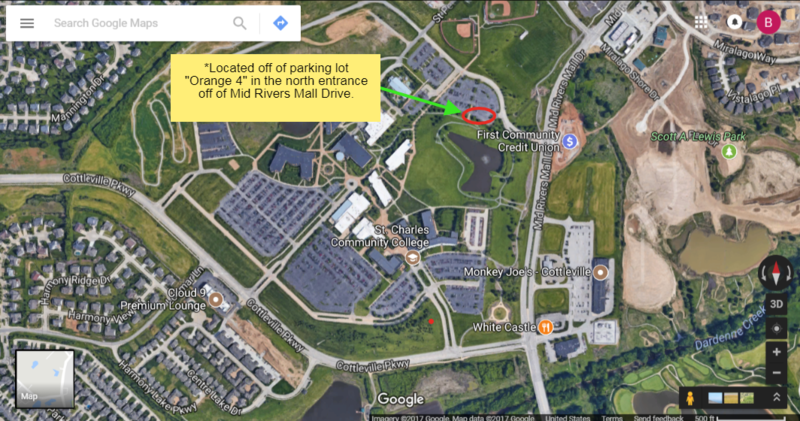 *Located off of parking lot “Orange 4” in the north entrance off of Mid Rivers Mall Drive. *Located just behind Quail Ridge Lodge on the paved trail. *Located behind the restroom building and continues counterclockwise along the trail. *Located past the playfields, beginning at the paved trail near shelter 3. The Storybook Walks are a program of the St. Charles City-County Library. Financial support for the Storybook Walks is provided by the St. Charles City-County Library Foundation.